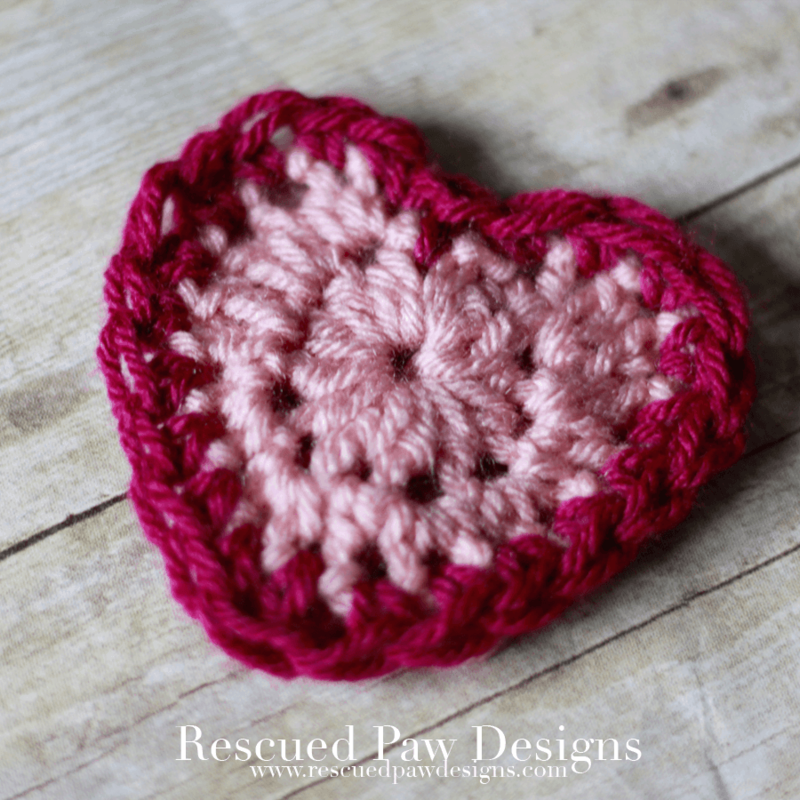 This pink and red heart free crochet pattern can be added to any project as an applique, given with a card for Mother’s day or even strung together to be hung up as a Valentine’s Day garland. 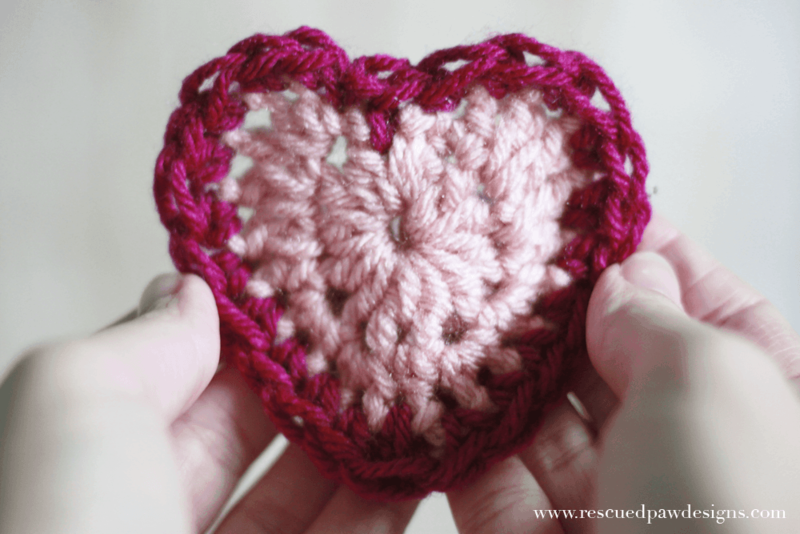 Read on down to find out how to make your very own crochet heart today! To begin the heart pattern gather up a crochet hook (that corresponds to the yarn you are using) and some yarn scraps. Which I always seem to have an abundance of! 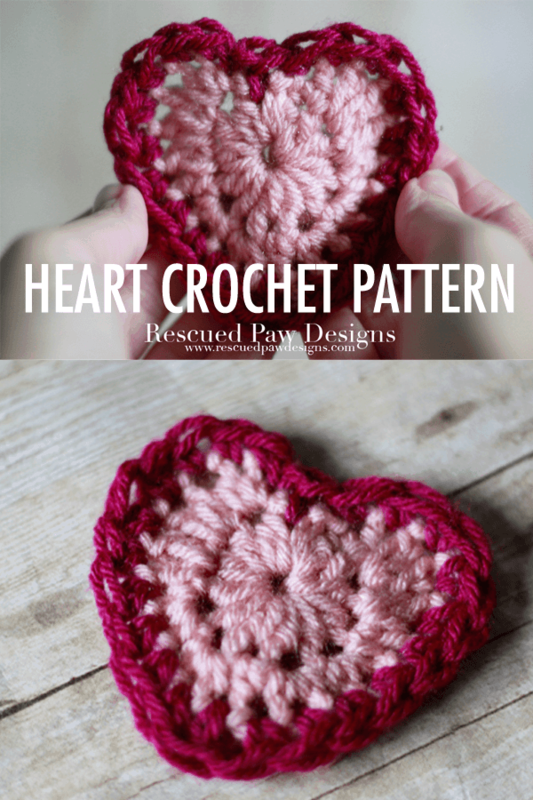 🙂 If you happen to have any too saved from past projects then you are ready to start crocheting a heart. Since I have so many worsted weight yarn ends left over from blog projects I decided to use some scrap’s of Lion Brand Vanna’s Choice in Pink & Magenta for my sample. UPDATE: The magenta color seems to be no longer available so I would suggest trying the colorway “rose shocking” as a good substitute. 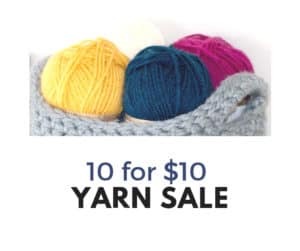 Click the yarn images below to check them out! Try different kinds of yarn too! Don’t hesitate to try different colors, brands, thickness’s of yarn scraps because this heart can easily be made using endless color and yarn combinations. 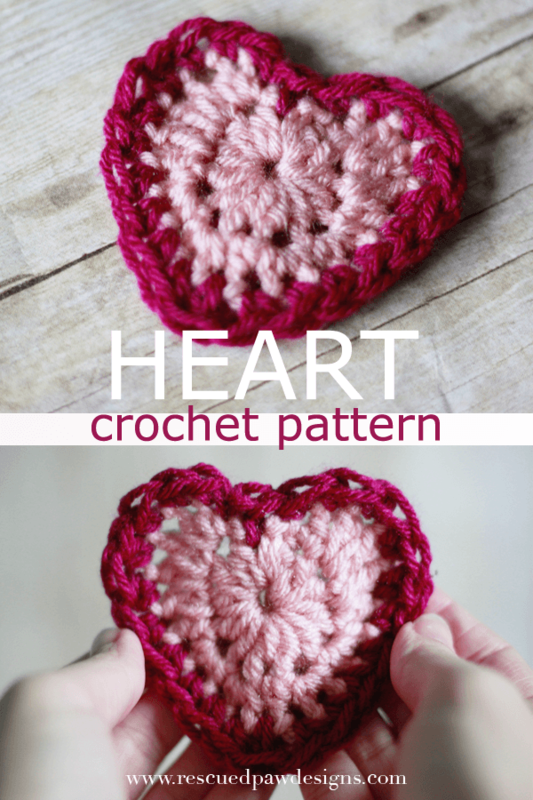 Keep on scrolling down for the full free heart crochet pattern! Have fun! Scraps of Lion Brand Vanna’s choice yarn in Magenta & Pink or any worsted weight 4 yarns. 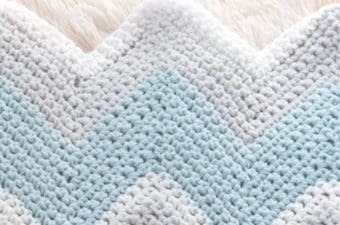 Here is a tutorial on How to Change Colors in Crochet that you may find helpful. Finished size is 3.5″ x 3.5″. 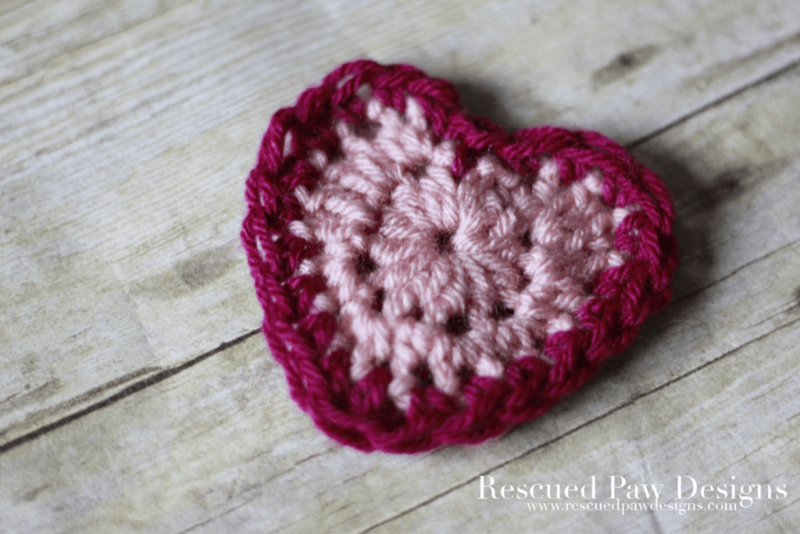 Read on down for the FULL, free Quick Crochet Heart pattern! FINISHING: Weave in loose yarn ends with a yarn needle to finish your quick crochet heart. I hope you enjoyed this cute little pink and red heart crochet pattern and as always, thanks for stopping by! 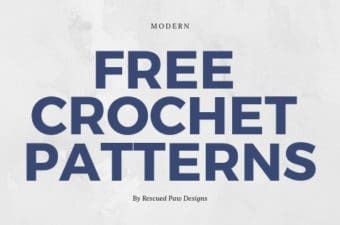 Don’t forget to connect with me on Social Media so you know when all my patterns are released! 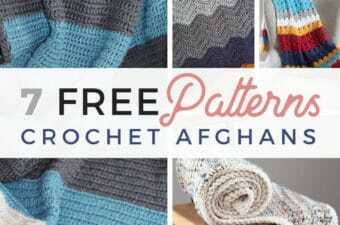 Check out the RPD Maker Shop Yarn Mamas! 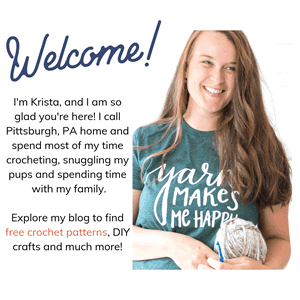 Happy Crocheting and stop on over to my shop “Yarn Mamas“ to find all your maker needs like patterns, kits and tees! Thanks for sharing this cute heart. Glad you’re feeling better!